Motorola was the fastest growing smartphone brand in South America in Q2 2017, according to the latest research from Counterpoint’s Market Monitor service, while Samsung rose to a healthy and highest ever 41 percent marketshare. Smartphone shipments in the region grew 9 percent annually during Q2 (April-June) driven by improved macroeconomic climate, LTE rollout and open channel growth in some markets. According to the World Bank, Brazilian economy is forecasted to grow at a marginal rate of 0.3 percent indicating more stability than last year. Colombia's smartphone market grew 26 percent annually and was the fastest growing market in Q2 2017 due to entry of newer brands such as Meizu, Infinix and Xiaomi expanded the open market, said Lu. Peru's growth tapered off after a strong growth last year due to aggressive competition between operators, Lu added. Meanwhile, Chile's shipment volumes declined as government cracked down the illegal transshipments to the neighboring countries. "The other driver of growth has been proliferation of LTE smartphones,” Lu said. “Almost nine out of ten smartphones sold in LATAM was LTE capable and instrumental in driving up the replacement rate and feature phone to smartphone upgrade rates. LTE is also allowing some brands to increase their market share as many brands and operators are switching to an all-LTE portfolio of devices." The Samsung Galaxy J series was the star performer in the LATAM market, according to Counterpoint; however, not the newly refreshed J series, but the 2016 models that were discounted. LG focused on its mid-range K series, especially K4 and K10. This resulted in LG K10 making it to the top five bestselling models in LATAM. Spanish telecom giant Telefónica posted its Q2 results for 2017 showing strength in its South American subsidiaries and declines in Europe. The company showed “a general acceleration in growth in main financial and operational terms” as it moves to organically reduce its €48.5 billion debt pile rather than sell off assets. The operator posted revenue of around €13 billion, an increase of 1.9 percent from the same quarter in 2016. Net profit for Telefónica reached €821 million, an increase of 18.4 percent from the same period in 2016. The company’s key revenue drives, it said, was mobile data revenue. Telefónica was able to reduce its debt by €3.7 billion year-on-year, which will increase once the company completes the sale of its 40 percent stake in tower unit Telxius, which it’s selling for €1.3 billion. Telefónica moved to sell its O2 unit in the UK to help reduce its debt after it felt pressure from investors, but the company is now attempting to reduce its debt organically by improving cash flow. “The strength and better business trends in the first half of the year, as well as being well-positioned to continue capturing sustainable growth in the coming quarters, allow us to upgrade our guidance for 2017,” commented José María Álvarez-Pallete, Executive Chairman of Telefónica. Telefónica´s NB-IoT Open Lab to be opened in Chile in the next few months aims to boost the IoT business ecosystem and drive innovation in the IoT space. It will allow IoT players such as equipment vendors, service providers, end-user OEM device makers and application developers, to deploy faster their services and applications over Telefónica´s networks. They will also have early access to new IoT developments by combining Huawei resources and capabilities with Telefónica´s well established R&D Centre´s facilities, resources and know-how. This Open LAB will have a permanent showroom in Telefónica´s headquarters in Madrid where the newest IoT solutions coming from Chile will be demoed regularly. Telefónica Chile’s R&D Centre is a joint initiative between Telefónica and the Chilean government with the goal of promoting an open and participatory Internet of Things ecosystem. The NB-IoT Open Lab in Chile IoT Competence Centre will be a meeting point for the IoT community in order to foster the use of the new technologies by organizing events such as “plug-fests”, collaborative design and testing, tutorial sessions and co-development programs for start-ups amongst others. It is a fruitful networking space where different players in the delivery chain can work together to boost the adoption of new IoT services. Telefónica and Huawei jointly deployed the first field NB-IoT smart metering service in Chile during 2016.This initiative enables the roll out of such experiences to many other areas and applications. Telecommunication organizations in Latin America are devising strategies aimed at implementing structures which can enable them to monetize ‘Big Data’. Many are currently involved in developing and deploying ‘Big Data’ solutions. However - monetizing these efforts remain a challenge for telco’s in South America. The growth of direct and indirect competition in the telecommunications sector has rather inevitably impacted revenue growth rates and the profitability margin of traditional operators worldwide. Universally telecommunication entities have found it difficult to monetize over-the-top services, value-added services and cloud as they try to move away from the traditional connectivity and capacity business. In relation to South America, the potential to monetize ‘Big Data’ has got Telco’s in the continent enthusiastic about the topic – and what ‘Big Data’ technology can bring to business. Telco’s in Latin America are currently embarking on the initial phase of the project in relation to ‘Big Data’ – focusing their attention firstly on optimizing infrastructure – then they intent to transform their business with predictive analytics, next-generation applications and advanced use cases. In addition to this, companies are also rethinking and re-evaluating their organizational structure and the portfolio it offers clients. Some have developed special units to specifically define roadmaps focused on their digital and innovation strategies in an attempt to re-invent business operations and ultimately to lead them to be in a position to enable new services. Research has found that capital expenditure or ‘Big Data’ telecommunications services in Latin America market reached $633.3 million in 2016. The investment is projected to reach $1.779 billion in 2022, led by countries such as Brazil and Mexico. 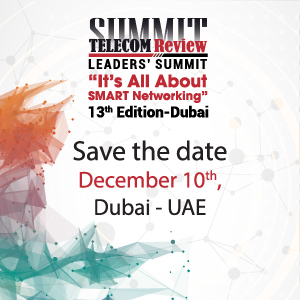 Some of the main priorities for the telco’s will undoubtedly be on improving customer experience satisfaction based on deeper customer understanding, prediction of issues based on extensive and more accurate network analysis, and revenue creation based on identified sales opportunities in the sector. Whether or not the companies can achieve these targets is yet to be seen. However, it’s clear that as the digital transformation continues to evolve – ‘Big Data’ will become a new revenue source for Telco’s who are preparing to take advantage of new business opportunities. Data from users, services, networks, locations and management sources could be monetized through product promotion, targeted advertisement- new sales opportunities - quality of experience and network optimization. The question for telco’s is not only how to implement the technology, but how to effectively set the value it will extract. Nokia has extended its long-term relationship with TIM in Brazil, signing a new contract supporting the operator's strategy to build a robust network infrastructure to cope with increasing consumption of mobile data with 4G. TIM, the leader in 4G coverage in the country, is the first operator in Brazil to use the frequency of 2600 Mhz and refarm the 1800 Mhz frequency band to 4G LTE. TIM is now ready to make the move to future-proofing its network using the 700 MHz spectrum band, which enables excellent indoor and rural area coverage for 4G-enabled devices. To support this groundbreaking network project, TIM has selected the Nokia AirScale radio access platform, which runs multiple radio technologies simultaneously in one base station and allows virtually unlimited scalability that will support massive IoT demand and 5G speeds. With the network upgrade to 4.5G Pro the operator will be able to better mix frequencies and technology usage at the same site, reducing costs and ensuring a fast and smooth deployment of the new LTE network. "We're looking at the highest technology quality standard today in the market, with the combination of three spectrum bands to increase our capacity and improve the end-user experience,” said Leonardo Capdeville, head of Technology at TIM. “With the support of Nokia and its AirScale radio access, we will be able to reach more areas and speed up LTE coverage in the country, reinforcing our innovation capabilities and commitment to the Brazilian market." Luiz Tonisi, head of the TIM Brazil customer team at Nokia, said: "Our commitment with TIM is to deliver a best-in-class service experience for its subscribers. This project is an important milestone for us as it paves the way towards the network of the future and reinforces our long-standing partnership with TIM. The near future looks very promising with the possibility to expand further our LTE footprint and make a positive impact in the digital society." This news follows another initiative, announced in late 2015, in which Nokia and TIM collaborated to modernize and expand TIM's 3G and 4G LTE networks in 17 states in Brazil with the use of Nokia's small cells products, as well as the implementation, optimization and care services.